Retired radio exec who worked major stations in Philadelphia, D.C. and Miami. Now turned writer, having written both children's books and adult novels. See marckuhn.com. Be That as It's May! It's the lovely month of May ...flowerss will bloom and I will be another year older. Here are the Fall Filings of Radiomarc's Podcast. Ah, it's fall. Three's a nip in the air, football is back, holidays just around the corner, pumpkin everywhere...yep, it's fall! October represents the brunt of fall, a favorite season for many of us. We begin the month on a sad note, but hope the remaining entries will be more positive and full of merit. Radiomarc's Podcast is...is...well, it's whatever! 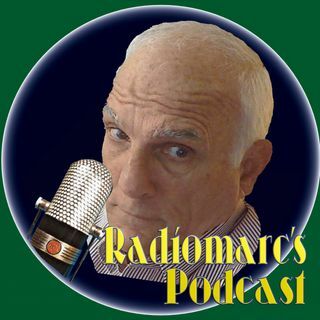 A retired radio exec turned independent author (7 books so far) Radiomarc's Podcast mirrors his blog most of the time. Both exhibit shades of Seinfeld regarding the topics' range from spot on a current interest to simply being about nothing! Lots of irreverence and ... See More whimsy found here, that's for sure, and even an occasional poem. New "stuff" posted usually 3-4 times a week. Feedback and comment very much welcomed. Spring has arrivedd despite the fact that right now it's pretty cold out on the corner...but it will warm up soon, trust mother N.
Ah, summertime and the podcast is easy....and may even sizzle from time to time. Test, Test, Can U Hear Me? A not so good childhood remembrance...but maybe not so bad either. February is always a 'middle" month...between the new year and before the first signs of spring. It's a good time for meandering blogs and podcasts.